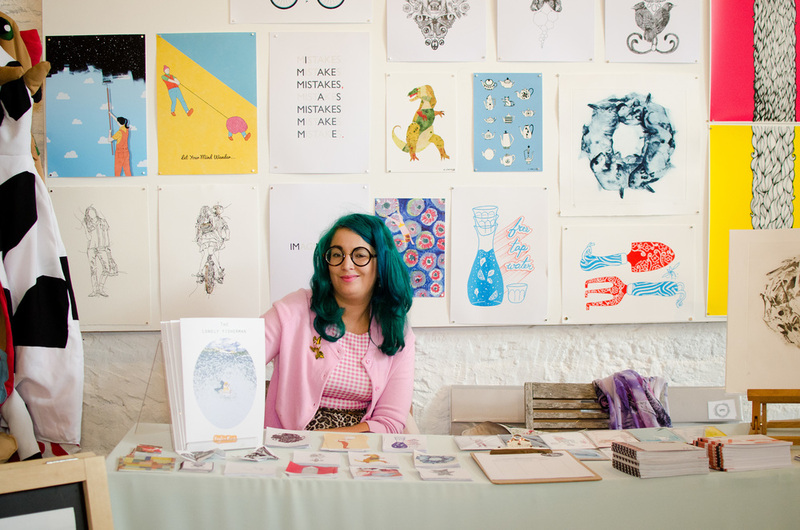 July 2014 saw us host the Summer Festival: Tropicana, turning the Hoxton Arches into an illustration paradise. Set across two rooms and two outside spaces we showcased a selection of the hottest illustrators, collectives, creative agencies, publications and print studios working in the UK and Europe right now. By bringing established commercial agencies, independent creative start-ups and charities together, we celebrated the diversity of illustration, print and design and demonstrated the fundamental role it plays in contemporary culture today. In addition to our exhibitor stands, there was 1-2-1 portfolio reviews with Handsome Frank Director Tom Robinson, The London Illustration Fair's pop-up Print Shop, live outdoor mural painting by David Shillinglaw, live screen printing with Ashes 57, Print Your Own Ice-Cream Monster with Hello Print Studio and a sizzling Brazilian BBQ. 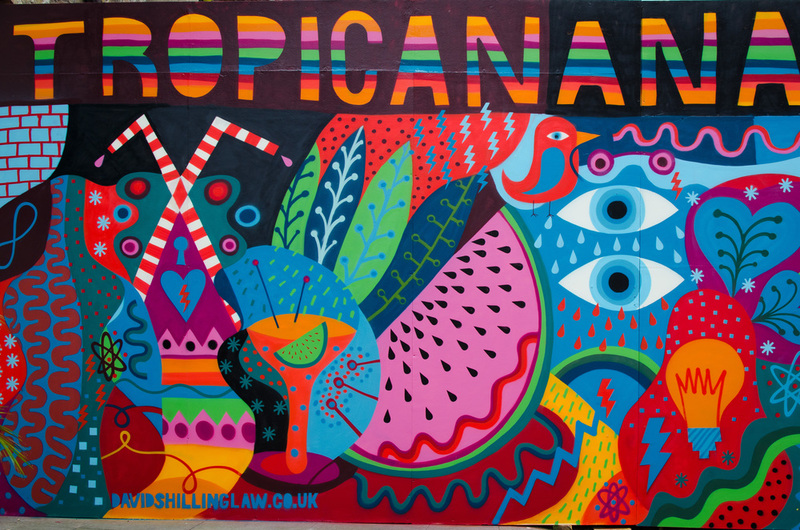 A big thank you to all who visited, exhibited at supported us this July for our Summer Festival: Tropicana. A special thanks to our event photographer Tiu Makkonen - www.tiumakkonen.com. 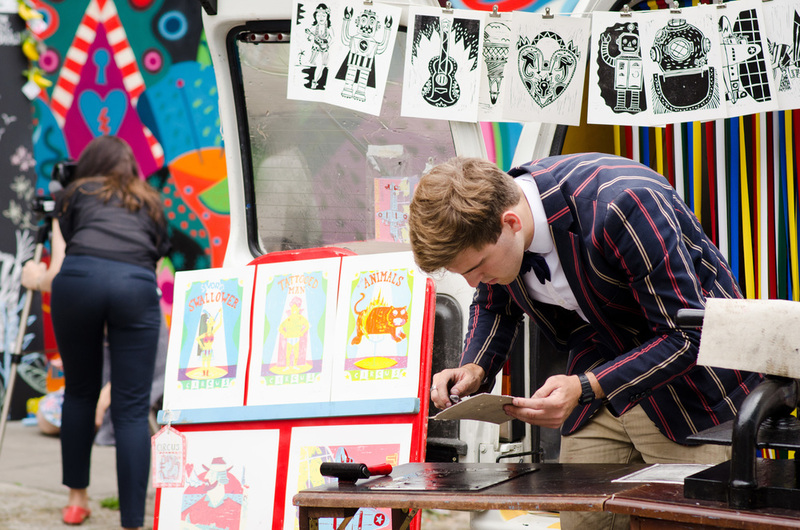 The Summer Festival played featured world class illustration and workshops from the likes of Brothers of the Stripe, JSR Agency, Hero of Switzerland, Hato Press, Hello Print Studio, Handsome Frank, Campaign for Drawing, East London Printmakers, Southwest Artwork & Made in Arts London. The event also saw us launch our very own pop-up Print Shop featuring a selection of our favourite artists and artworks from the 2013 Fair, as well as a hand picked selection of exciting new artists we have had our eye on for a while. The shop exhibited works from our old favourites including Ruby Taylor, Ben Rothery, Cassandra Yap, Ursula Hitz & Yann Brien, as well as a choice selection of prints from new converts David Shillinglaw, Lau's, Crispin Finn, Marcelina Amelia and Sarah March. Our Summer Festival’s Featured Artist was Puck Collective’s Ruby Taylor. Ruby designed all of the Summer Festival’s promotional material, including the background, banners and flyers. She also produced a large-scale ‘Tropicana’ themed mural for our entrance space. Ruby also produced an exclusive selection of work, to be unveiled at the event and will be sold in our Print Shop. For further information about Ruby Please click the image & video to the left. Video by Eleonora Cecchini. The event saw us make use of Hoxton Arches incredible outside areas to full extent with live mural painting by David Shillinglaw, full blown Brazilian BBQ from the Churasco Gang and a fully stocked bar and seating area in our graffiti garden. Handsome Frank is a UK based illustration agency representing some of the finest contemporary artists on the planet. World renowned and with a wealth of experience, Director Tom Robinson will be ran one-on-one portfolio review session to aspiring illustrators and designers.